Marketing can be traced back at least to the bazaars in ancient Athens and Rome and yet its primary purpose remains the same today: To create or increase demand for whatever the offering may be. That said, attracting attention must precede all other initiatives. Then credibility must be earned by treating respondents with respect. A world-class marketing plan is essentially worthless – and usually counter-productive — if the given product or service is of inferior quality. 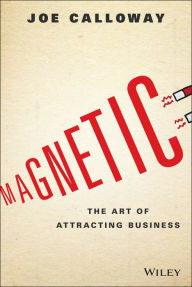 Joe Calloway wrote this book to explain the art and science of attracting and retaining buiness. As I worked my way through Calloway’s narrative, I was again reminded of Bernd Schmitt’s pioneering work, Experiential Marketing: How to Get Customers to Sense, Feel, Think, Act, Relate (2000). He develops in much greater depth insight introduced in an earlier work, Marketing Aesthetics (1998). For example, the assertion that “most of marketing is limited because of its focus on features and benefits.” He presents what he characterizes as “a framework” for managing those experiences. In Experiential Marketing, Schmitt provides a much more detailed exposition of the limitations of the traditional features-and-benefits marketing. Moreover, he moves beyond the sensory “framework” into several new dimensions, introducing what he calls “a new model” that will enable marketers to manage “all types of experiences, integrating them into holistic experiences” while “addressing key structural, strategic, and organizational challenges.” The key word is “holistic”; the key process involves creating to a wholly enjoyable customer experience. Joe Calloway is to be commended for the abundance of information, insights, and counsel that he provides. It would be a fool’s errand, however, to try to apply everything that he recommends. Each reader must decide which of the material is most relevant to the needs, interests, values, concerns, resources, and strategic objectives of their organization.